Randy’s thoughts on why he loves being a wedding photographer. Mandy and I are wedding photographers working out of the beautiful city of Montreal. Filled with picturesque churches, venues, and outdoor locations that would make the perfect backdrop for such a special day, this city is ideal for wedding photography. There is a lot to love about what we do. The atmosphere of a wedding day makes it both an honour and a joy to capture and take part in. The day is filled with so many heightened emotions, so many lively guests in celebration, and the happiness is infectious. Of course, I might just be a sucker for a good love story, and I love to see romance in the air. A great deal of trust is given to me when asked to photograph someone’s wedding. The job of capturing my client’s memories on this monumental day, memories they will share and pass down for generations, is the greatest privilege. For that reason, I’ve spent years mastering multiple skills as a photographer so that I can excel at this significant task. Many would agree that wedding photography is one of the greatest challenges for any photographer. The job requires quick thinking and adaptability, an understanding of the complexities of lighting in multiple situations, and the ability to predict human behavior to help capture the unanticipated. That’s because weddings and the unexpected go hand in hand. So many factors, incidents, and details can influence a moment, a perfect shot, and the photographer needs to be prepared for all of it. That is the very reason so many people fear wedding photography. However, it’s exactly why I embrace it. My clients go through a variety of emotions throughout their special day, and I know that I cannot turn the camera on someone and expect them to cry on cue. Therefore, great wedding photographers need to be ready to catch the right moments as they happen. A father wiping a tear from his eye, a flower girl looking up lovingly at her dad, or a bride’s fleeting glance over at her new husband. These are the moments I aim to capture. Of course it’s vital to catch the first kiss and the exchange of rings, but I take pride in collecting all the little moments in between as well. The technical challenges should never get in the way of a clients wedding day. It’s my job to capture beautiful images regardless of the conditions of the day. Sometimes the church is dark, and sometimes it rains. But I relish the challenge and continually rise to the occasion for my clients. There’s something about working with wedding client’s that is vastly different from being a photographer in any other professional environment. When working in the corporate world doing headshots for example, a client is hiring you to essentially reflect their brand identity. With weddings it is the complete opposite. My job is to photograph purity and authenticity. Both Mandy and I appreciate a good love story (read ours here), so we love to get emotionally invested in the stories of our clients. We value the relationships we forge with our brides and grooms, and it is incredibly rewarding to spend one of the most important days of their lives with them. 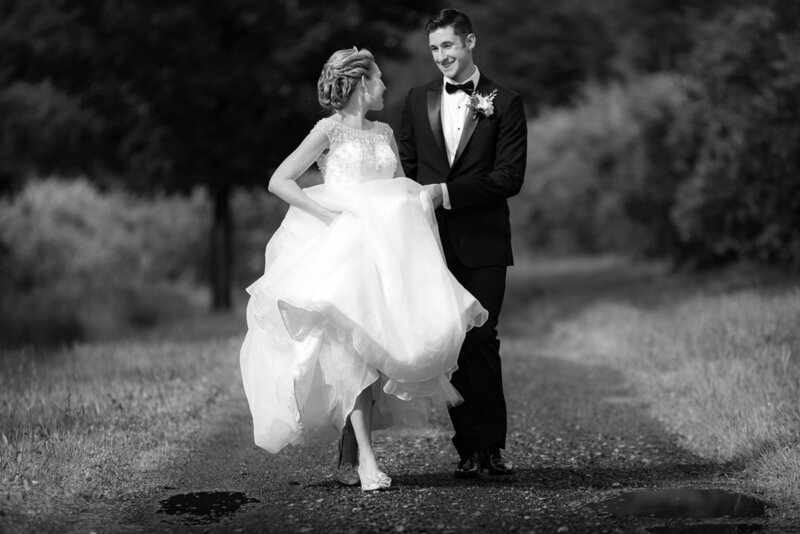 In all my years of shooting corporate work, I have never made a personal connection with a client like I have with several of my brides and grooms. Photographing a wedding and handing those images over to a couple afterwards makes a tangible connection between us both. At the end of the day, I enjoy wedding photography because I genuinely love working with people, and I believe in love and fairytales. Some may think that’s cheesy, and maybe it is. But love makes people happy. And the world needs more happy people.